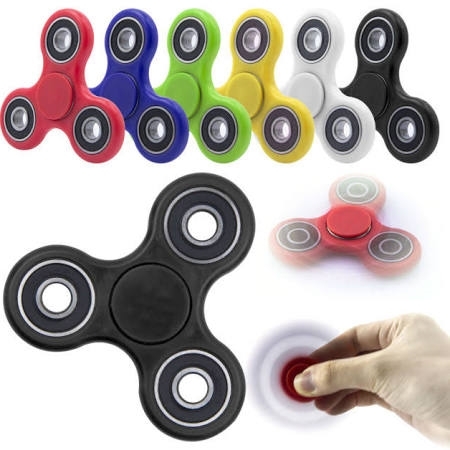 The Fidget Spinner helps release tension and stress while increasing focus. This anti-anxiety toy is quiet so you will not disturb others. The Fidget Spinner is the stress relief toy that keeps your hands busy so you focus on the task at hand. This anti-stress toy is perfect for kids and adults with ADD, ADHD, OCD, or autism. Fidget Spinner stimulates the brain of the fidgeter- helps reduce anxiety, stress and boredom while increasing focus. The Fidget Spinner is made of high quality steel bearing and is very quiet so you will not disturb others around you. This is a wonderful tool to release energy without being disruptive.